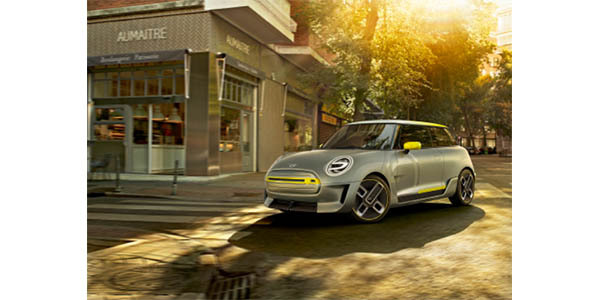 The MINI Electric Concept gives an early glimpse of the MINI Cooper S E electric vehicle coming in early 2020. As the popularity and availability of electric vehicles (EV) continues to grow in the U.S., consumers are zeroing in on how they want to use an EV. Sixty-three percent of consumers said the best way to use an EV is for commuting or city driving, according to a new survey MINI USA recently commissioned from market research and business intelligence firm Engine International, Inc. At the same time, 73% of consumer surveyed said that battery range of up to 75 miles was sufficient for their daily use. At the other end of the spectrum, the survey found that there is a need for additional consumer education around EVs, especially when it comes to charging technology and maximizing electric mobility solutions. Nearly three-quarters (74 percent) of consumers surveyed did not know where their nearest EV charging station was located. At the same time company data shows that 80 percent of EV owners tend to charge their cars at home. When consumers were asked to choose an acceptable amount of time it should take to charge an EV, the most common answer (28%) was ‘‘I don’t know” followed by “30 minutes” (25%). Overall, two-thirds (66%) of consumers surveyed believe that EVs are for early adopters, underscoring the need to raise mainstream awareness around EV technology. This finding also may also explain that while Federal Tax Credits on EVs certainly incentivize consumers to purchase an EV, there is still a subset of the population that is making the choice to purchase an EV based on factors beyond incentives. The General Population survey was conducted among a sample of 1,004 adults comprising 502 men and 502 women 18 years of age and older on behalf of MINI USA. The online omnibus studies were conducted from March 21-24, 2019.